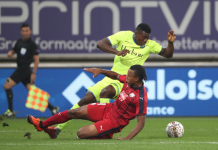 Super Eagles stars heading to the national team’s camp have dramatically connected in Germany, as Samuel Chukwueze, Kenneth Omeruo and Bryan Idowu were spotted together on Monday. 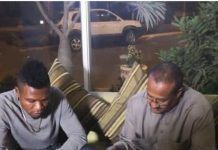 Chukwueze has team-up with Chelsea loanee Kenneth Omeruo and Lokomotiv Moscow’s Brian Idowu at the airport in Germany ahead of their trip to Nigeria. The trio are expected to report for international duty by Tuesday, November 13 after the weekend league encounter across Europe. 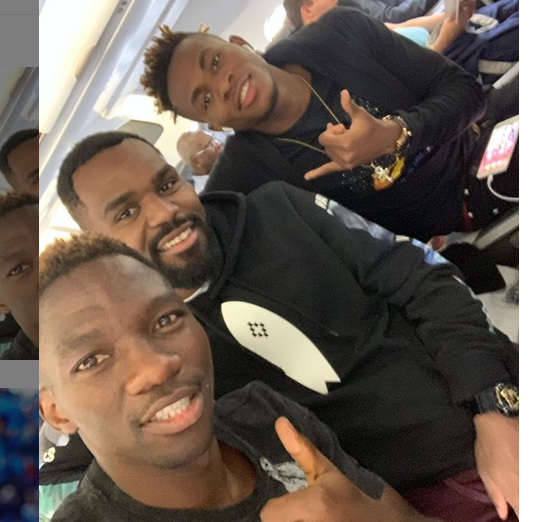 Omeruo posted on social media that he met Lokomotiv Moscow defender Idowu and Villarreal’s new prospect Chukwueze at the Frankfurt International Airport en route to Asaba on Monday morning.